The AGO CEO Matthew Teitelbaum wired for sound under the spotlight at the opening of the new show: Abstract Expressionist New York. Behind him is No 5./No. 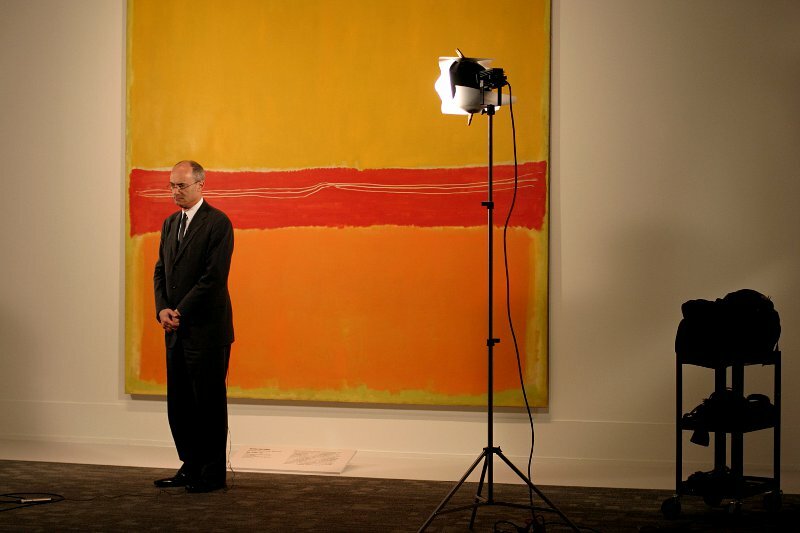 20 by Mark Rothko.